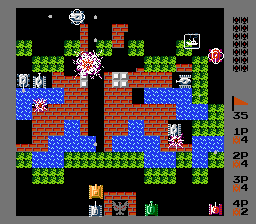 1/2 player - 3/4 players game. 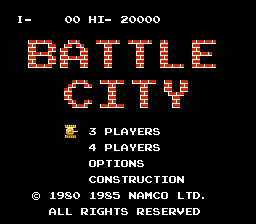 Play classic Battle City with a four-score or 4-player adapter. 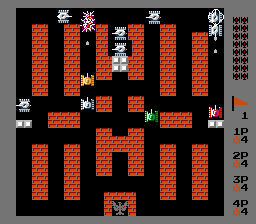 Also adds some features (selectable) and 35 levels from Tank 1990 (levels 35-70). Glad to see you can now enjoy the game with 3 or 4 players. I never thought it will exist, but now here it is! Great job!